As one of the rising stars of the world of period performance, Bojan Cicic is fast making a name for himself with his sensitive and virtuosic playing. 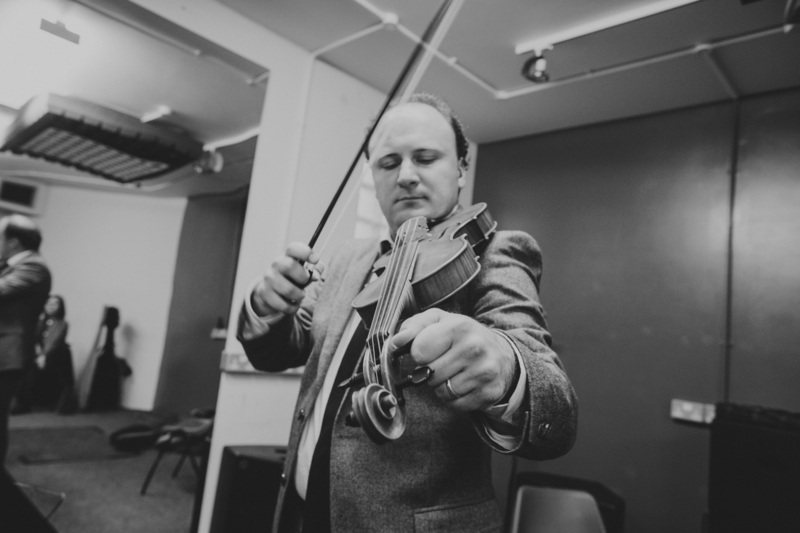 He is regularly invited to lead both period and modern orchestras, including groups such as the Budapest Festival Orchestra, le Cercle d'Harmonie, and the European Union Baroque Orchestra. As well as being the leader of Florilegium and La Nuova Musica, he also directed the Academy of Ancient Music and Camerata Kilkenny in 2015. Other recent projects have included a recording of the Brandenburg Concertos with Florilegium, Vivaldi's Summer with the European Union Baroque Orchestra, and his BBC Proms debut alongside Rachel Podger and Kristian Bezuidenhout. He is also increasingly busy with his own group, Suonar Cantando, with whom he explores rare repertoire of the 17th and 18th centuries from the Venetian Republic and Habsburg Empire. The group has performed at the Utrecht Early Music Festival, the Korkyra Baroque Festival, Laus Polyphoniae, and at the Festival de Sablé. Bojan plays a violin by Rugieri from the 1680s, kindly loaned to him by the Jumpstart Junior Foundation.